The demo has a simulation of a process (tanks). The Dashboard is the Home page of the Alarm Adviser application. Based on these standards, Alarm Adviser tracks KPIs that include average alarm rate, peak alarm rate and alarm severity distribution, and lets you to monitor your alarm system's performance compared to past performance and against KPIs. The Dashboard presents analysis data in the form of widgets, and is available to all Alarm Adviser guest users, registered users and administrators. Alarm Rate: This widget provides a comparison of alarm rate metrics between two time periods. 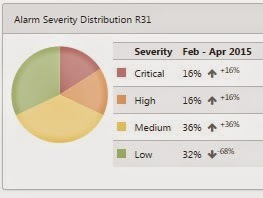 Alarm Severity Distribution: This widget shows the breakdown of alarms by severity over a configurable period of time. The Dashboard can show multiple Alarm Rate and Alarm Severity Distribution widgets, which your administrator can set up to show different views of the alarm data. 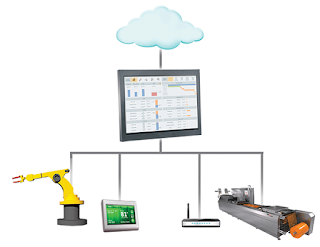 For example, the Dashboard can be configured to track performance for different areas of your plant or over different measurement periods. 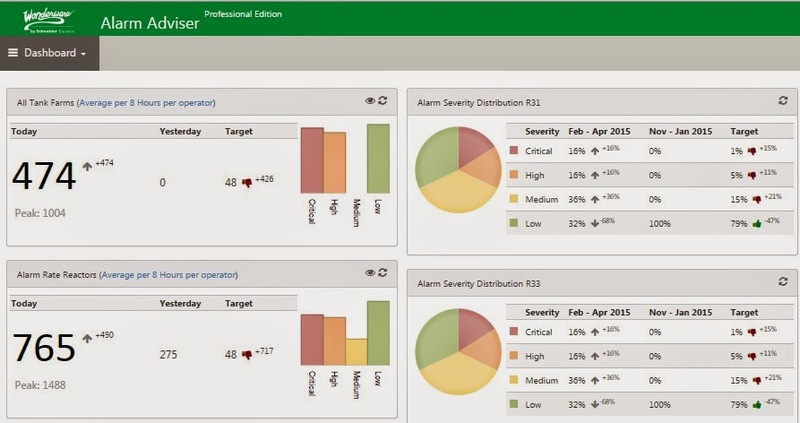 Wonderware Alarm Adviser is web-based alarm analysis software that helps you discover nuisance alarms in the process system through interactive visual analysis. Based on industry recommended standard alarm management practices, Alarm Adviser provides a dashboard for instant diagnosis of alarms, causes and consequences. It provides a single means of identifying frequent, standing, fleeting and consequential alarms, which can help analyze plant upsets and optimize system performance.